Cowlairs Co-operative Society was established in 1881 in Sprinburn, Glasgow, in response to the exploitative practices of the North British Railway Company, which as well as having a large number of employees was also the largest landlord in Springburn. The co-operative provided an alternative to the NBR shops at fairer prices and eventually had twenty six branches, making it the largest retailer in the area. Co-operative societies also offered members a regular dividend as a reward for shopping with them. 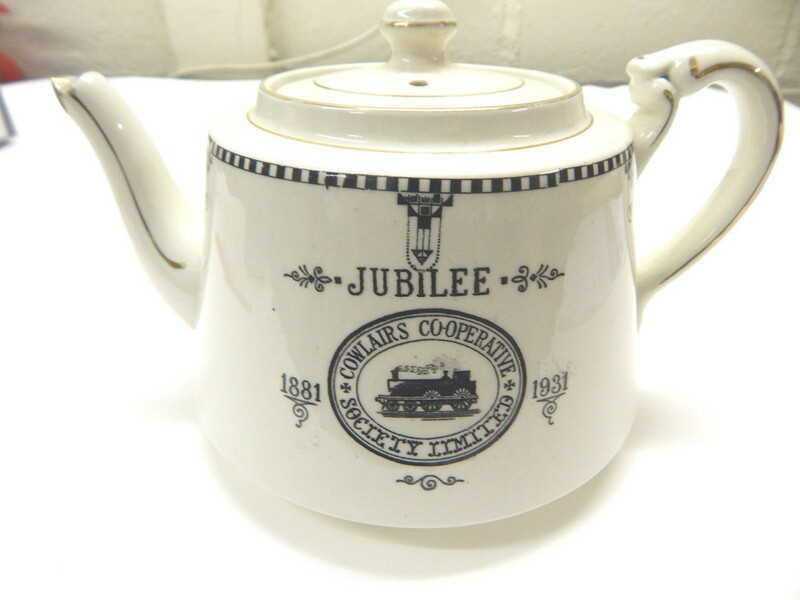 This teapot was produced to commemorate the fiftieth anniversary of the co-op’s establishment.